Hello friends! I’m currently in Canmore, Alberta, recovering from an epic hike up a mountain at Lake Louise yesterday. Everything hurts. On our limping way down the trail, my mom and I burst out laughing at the 70-something silver fox RUNNING up the snow covered trail next to us. West Coasters. You guys are intense. Anyhoo, I’m happy to report that even though I’m trying to take a quasi-break for the next few weeks, I have lots of fun guest posts lined up. Today you’ll be hearing from Helen of Helen’s Closet. I started following her a blog a few months ago; I love her style, and she’s also a fellow Canadian (which probably means she is one of those West Coast maniacs who runs instead of crawls up hiking trails). 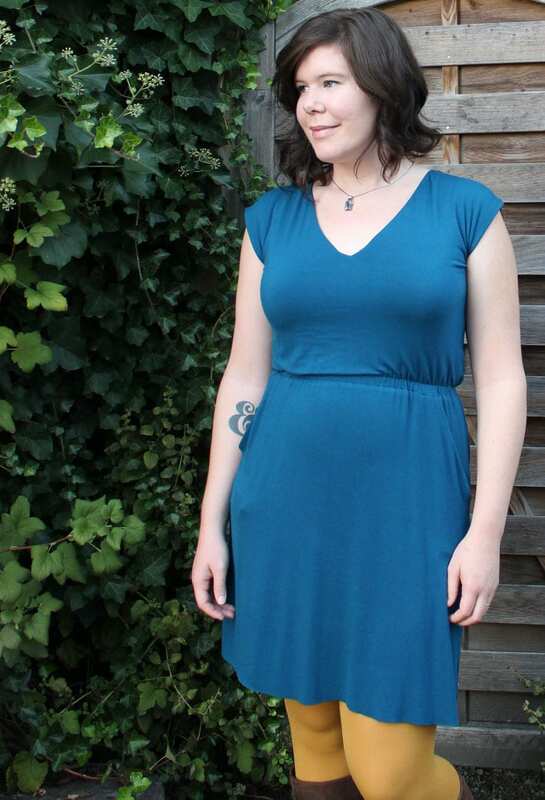 She offered to write a guest post for the blog while I was on vacation, so this is her take on the Sallie Maxi dress (which was provided by me, gratis). Meet Helen! Hello Readers! 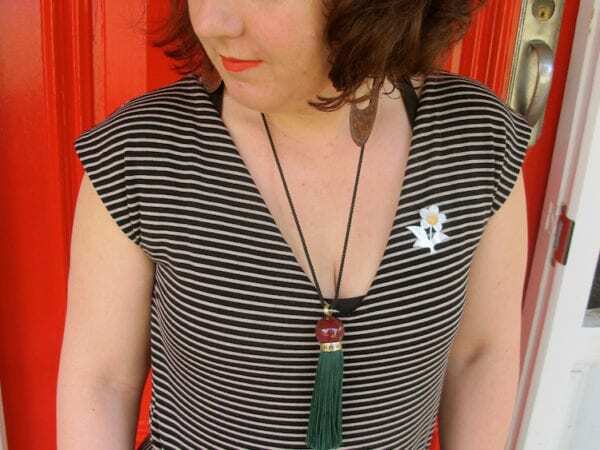 I am very pleased to have connected with Heather about doing a guest post while she is away on her much deserved sabbatical month. 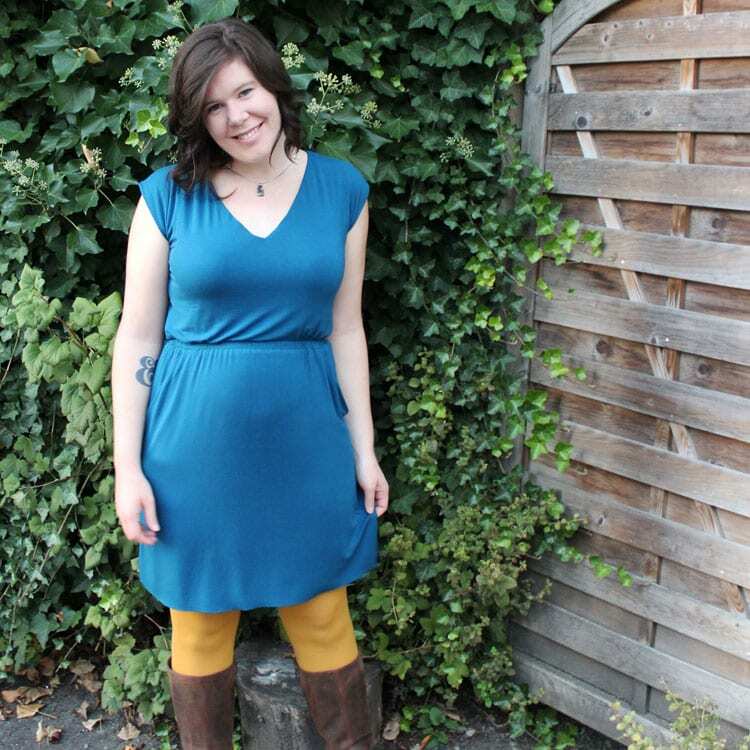 She was looking for people to do variations of her patterns and I immediately thought about making a short Sallie dress for fall. 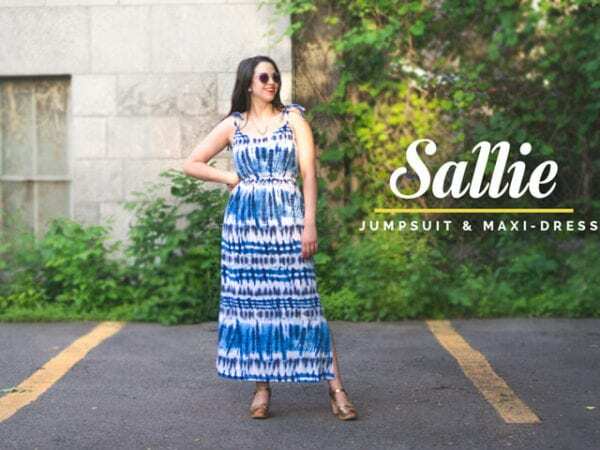 The Sallie Maxi is perfect for summer, but a shorter version would be ideal for my fall and winter wardrobe. It seems counter intuitive to be thinking short, but I live in Vancouver, BC and once fall hits it is non stop rain for months. Anything that drapes down to the ground gets wet. 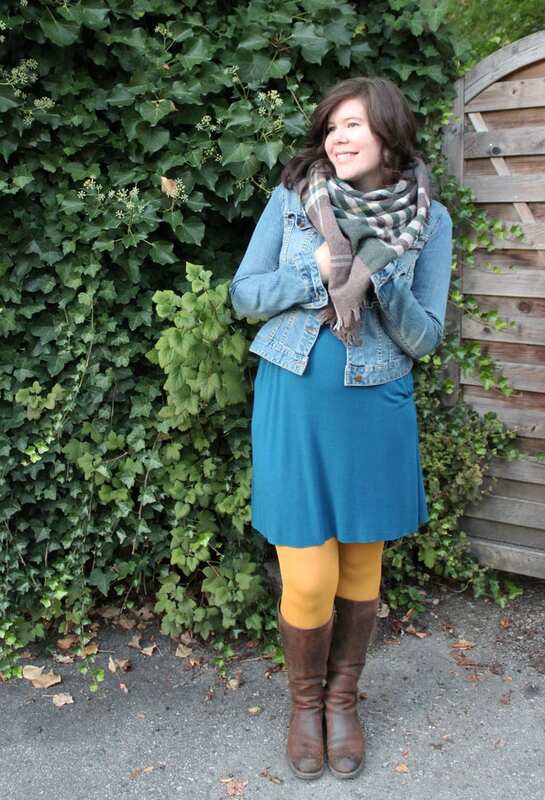 As a result, my go-to look for this time of year is boots, tights, and dresses. 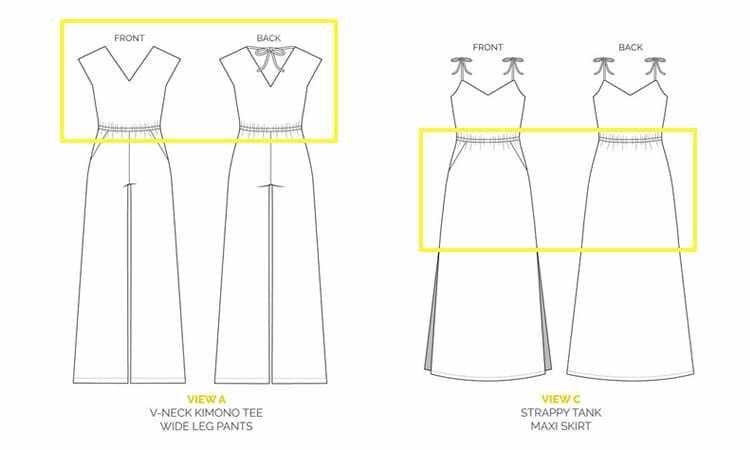 I used the kimono style top from View A and the skirt bottom from View C to make this mashup, shortening the skirt pattern pieces to suit my desired length. Other than that, I sewed the pattern as is. 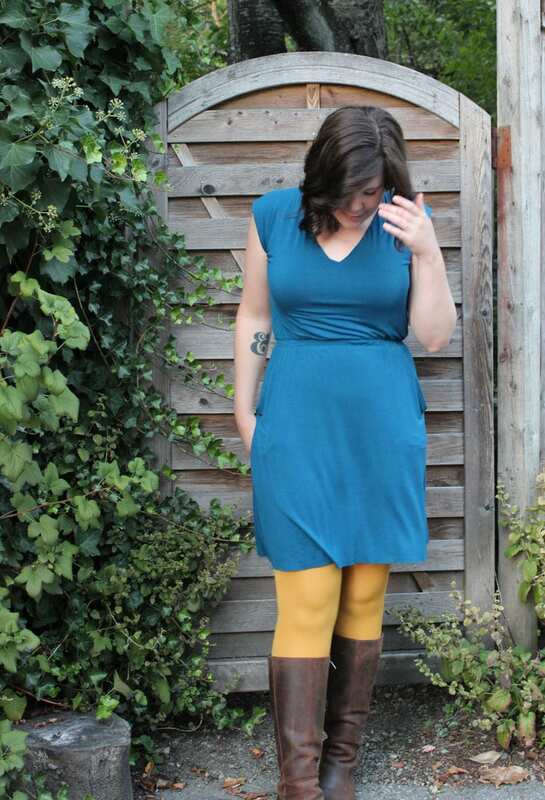 I used a bamboo lycra blend; it is very luscious and almost silky to the touch. However, bamboo fabric has a tendency to slip through your fingers, so it tested my patience a few times. In total, this project took me 2.5 hours to sew, not including the time to cut the pattern and the pattern pieces. This is my first knit garment so, needless to say, I was shaking in my boots a bit before starting. I do not have a serger but, after sewing the Bombshell Swimsuit this summer, I was fairly confident about my zig-zag stitching abilities. I followed the instructions for the pattern, paying particular attention to Heather’s tips on where to use different zig-zag widths, and it all came together quite smoothly. 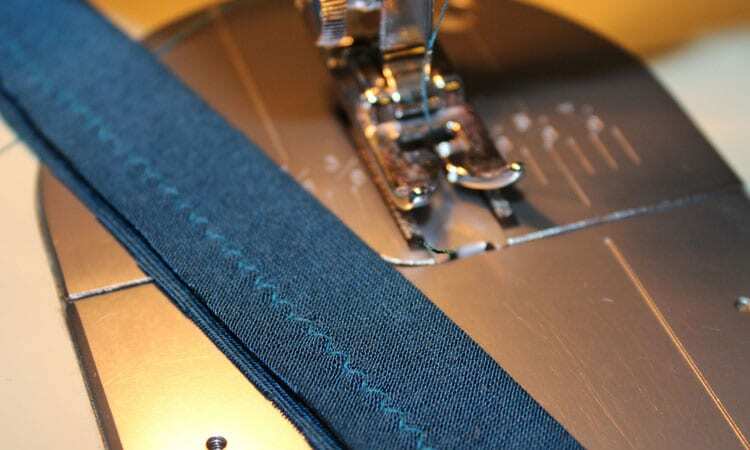 My seams feel very stable and I am able to pull the dress on and off easily without hearing any stitches breaking. The worst sound ever, right? 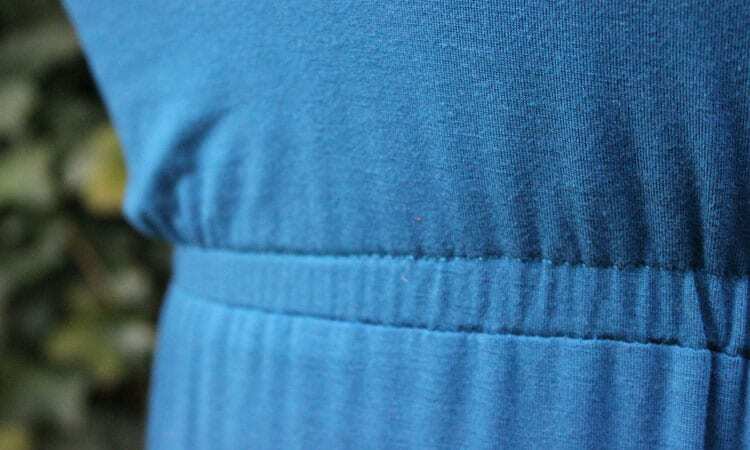 I opted to leave the hem unfinished, mostly because it was already the perfect length when I tried it on. Also, this fabric has a really nice drape without the folded hem, but I may revisit it later. I can’t tell you how excited I am to have the world of knits open to me just in time for the colder months. I’m grinning ear to ear just thinking about it! 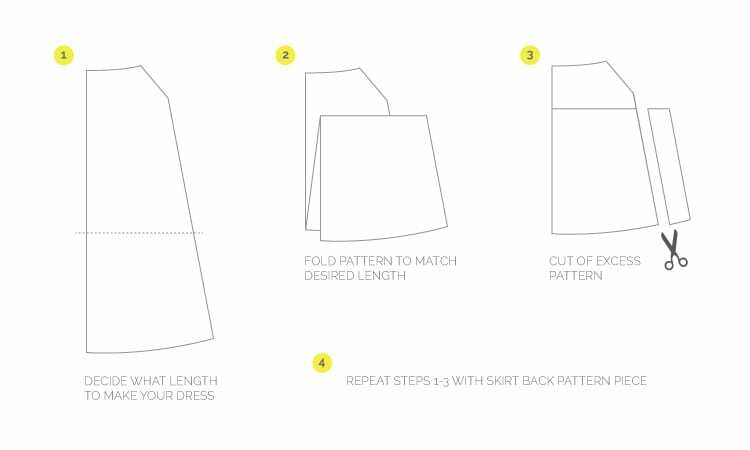 This hack is very easy to implement; simply decide what length you want your dress to be and shorten the skirt pattern pieces accordingly. 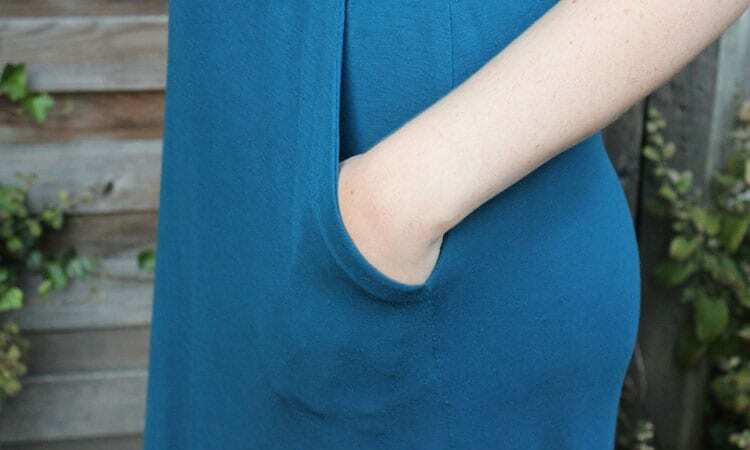 Be sure to keep the slight curve of the bottom hem, you can do this by folding your pattern to get the length you want and then trimming off the excess. I love the fit of this kimono style bodice, it sits perfectly on my torso and curves around my arms in a very flattering manner (if I do say so myself). The ties on the back of the bodice are a wonderful detail and they help to maintain a nice V shape in the front and back. I already have plans to make another Sallie Mashup with a half circle skirt bottom and another one like this in black. I think the tank top version is darling too, I’ll have to whip up a couple versions of it next summer. 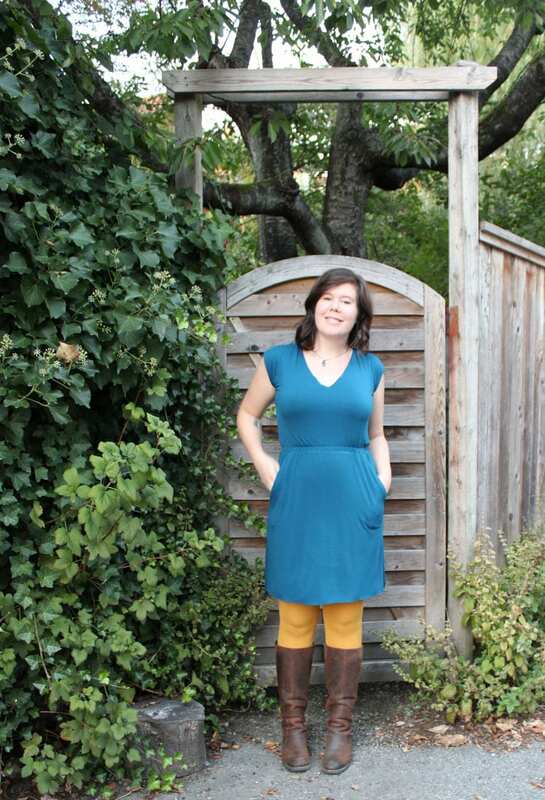 The finished dress is very comfortable, especially thanks to that lovely bamboo blend! I see myself getting a lot of wear out of this in all seasons. As I mentioned above, I love dresses for fall! I just throw on a chunky scarf and my denim jacket and I am good to go. Thanks to Heather for letting me share my make, I hope to see more fall and winter Sallies out there soon! 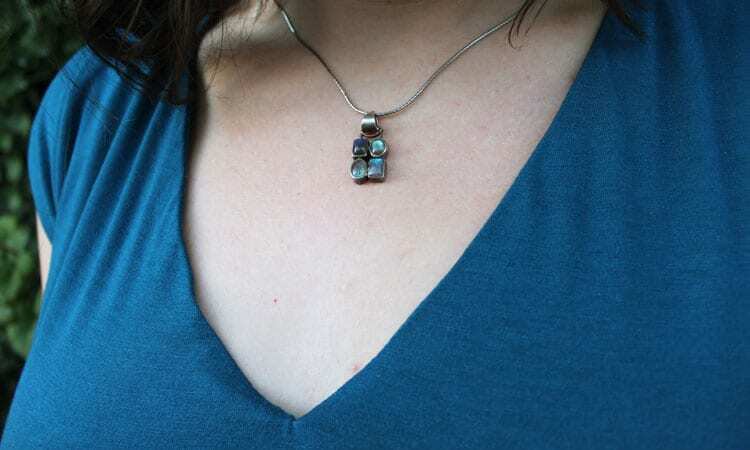 You can check out more of my makes on my blog, www.helenscloset.ca. All opinions expressed in this post are my own and have not been influenced in any way by Closet Case Files. A STRIPED SALLE JUMPSUIT // GUEST POST FROM WHAT WOULD MAUDE WEAR?